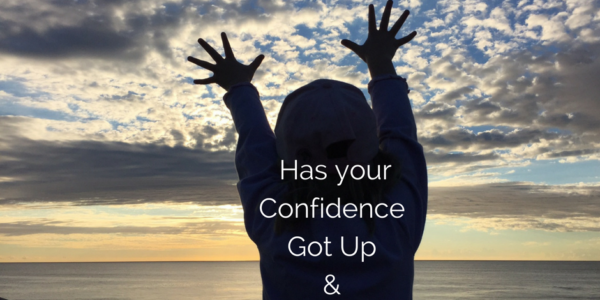 What to Do when your Confidence seems to have Got Up and Gone! Do you ever have those days when you simply want to roll back over and not get out of bed? When it all feels too much or all too hard. Intellectually, you know it’s not. Where to… you’re not sure?!? But it sure as hell isn’t with you this morning. You know you’ve got this, you’re smart, capable and intelligent, however, some days you feel like you’re carrying the weight of the world in those hands of yours and you’ve run out of juice. The strength has left you. In all honesty, I have those days, no point hiding them. They happen to all of us. And I’m pretty sure if I was interviewing Branson or any other world leader, guru or similar, that agree with me too. That’s why it’s really crucial to have these 7 Steps for Kick-Starting Your Day up your sleeve and handy for those days when your confidence has got up and gone. Here are 7 sure-fire ways to get the juice back in the tank, get your mojo going and help you recharge QUICKLY and EFFECTIVELY! Whilst we all know this, many of us avoid the very thing that we know is one of the No. 1 ways to feel good from head to toe. And I’m not talking about needing a back-breaking gym workout or running a marathon. A simple 30 min walk a day is proven to help reduce stress, anxiety and improve brain functionality enormously. Now even if you struggle to do this daily, do something. Hop off the bus a block earlier, walk to school pick-up, get out at lunch or take a break and walk 2 blocks and back. Do something to clear your brain. The whales have started jumping in our part of the world, so no excuses for staying in bed now! Time to get the binoculars out and get walking. The act of getting it off your chest feels better. Talk it out with a trusted friend, advisor or partner (life or business). Honesty is the best policy and remember we’re all human, no need to be Super Girl and do it all solo. Phone a friend and talk. Alternatively be honest with yourself. Stuffing emotions and feelings down, hiding or swallowing them, will only do more damage in the long run. So own it, be honest and vocal. Acknowledging your feelings is not about doing a 48-hour rave with how crap you feel. I use the rule of 2… 2 seconds, 2 minutes, 2 hours – never extend the party for longer. Seriously, get your big girl boots back on and work your magic! Ok. You have got this. Do what you do best! What is your thing? Do that. Whether it’s connecting with people because you’re a people person, or creating because you’re a creative, or performing because you’re a performer, whatever your magic get on with doing that. Your confidence will quickly return when you get in the zone and do your do. If the opportunities then and there aren’t available to do your magic, because there is other more pressing work (you know the not so exciting stuff), take a few minutes to reflect on your magic, an experience you’ve had, given and remember the sound, sights, and feelings you had doing it. Recall quite precisely how brilliant you felt and feel when you’re in the zone and the moment, the successes, the results, the achievements, the gratitude and let it warm fuzzy you all over. Again, you’ve got this. This morning as I was having my moment and messaging with a friend, I started to use the word… I’m “stressed” and I couldn’t type it, I really couldn’t. I wrote, pressured instead. You see, having recently visited Africa, stress and our 1st world problems simply don’t compute anymore. How can we possibly be stressed? Whilst a mentor taught me this important mantra and life principle many years ago, the reality of this has very recently hit home. Because nearly 1/2 of the world’s population — more than 3 billion people — live on less than $2.50 a day. More than 1.3 billion live in extreme poverty — less than $1.25 a day. So that’s almost ¼ of the world’s population live in extreme poverty and here we are feeling pressure. Whilst it may seem harsh and critical to minimise our first world problems, here’s the reality I saw, experienced and heard first hand from the women I met. We don’t live in mud houses with 5 – 10 children each. We don’t have to build our own mud homes. We don’t have to cook our dinner on an open fire and go to bed by 9pm because there are no lights or TV to stay up and watch. So yes, perspective is a very important aspect of recovering your confidence and realising, we are very blessed and live in very fortunate positions. Even with our day to day challenges and struggles, they are really minimal and whether it’s giving yourself a good talking to or chanting Have Perspective, remember the opportunities on your doorstep are enormous. Refer to your next steps, action items, weekly to do, quarterly plan or yearly goals. Keep your eyes on the prize and plan in place to make things happen. 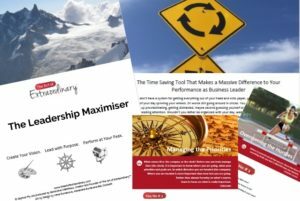 Whether its business or life goals, make sure you have them written down, in front of you and accessible at all times to remind and revitalise you when the chips are down. Even more importantly ensure you have them broken down in to small and bite-size chunks. You cannot eat an elephant whole. Break it down, bit by bit, so you can then pace yourself and get small tasks done and achieved when the going gets tough. Always focus those daily steps to move forward! Did you know? Our brain is one of the most important organs and much needed for keeping us strong and energised. Ideally, we need around 85% of water so that our brain can function properly. In Australia alone, on average we consume only 1.28l per day, which is much lower than the 2.5l for men and 2l for woman recommended by the leading health organisations. A recent study says around 80% of Aussies suffer from chronic dehydration as we’re just not putting the required amount of water into our body needed on a daily basis. Other countries have similar or worse statistics too… USA (75%) France (75%), Germany (50%). So most of us don’t even realise we’re dehydrated and the impact it has on our body and brain. Dehydration causes the brain to in effect “turns off” or slow right down unable to work at full speed. A few of the mental symptoms associated with dehydration can be mental confusion, afternoon fatigue, problems with focus, depression, anger, emotional instability, fatigue, headaches, sleep problems, stress and lack of mental clarity and alertness. 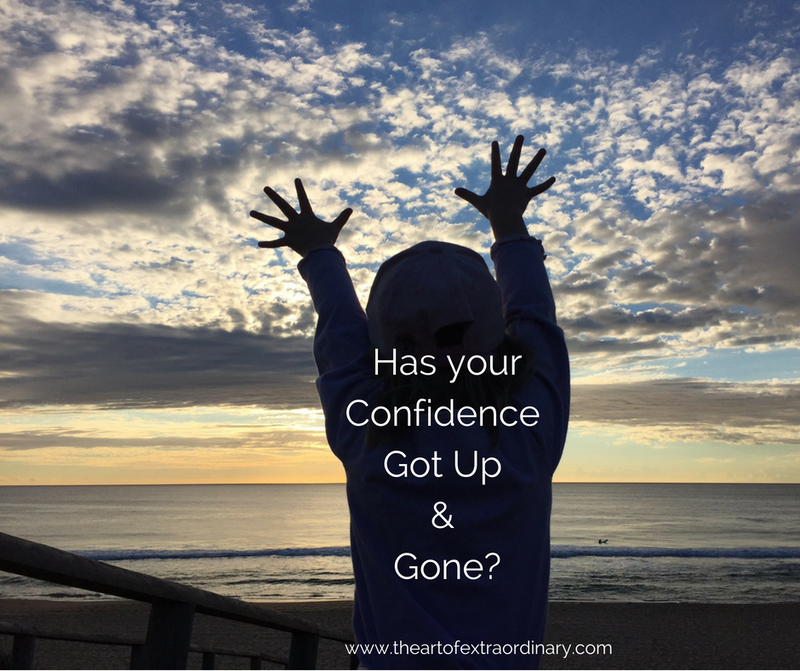 So with that said and this post written, confidence is king, it’s time to get back into doing my do and trust that this is a helpful reminder when you’re confidence has got up and gone to, get it back and get going again!